NEW Ground Maintenance Ladder- Our 500 Lbs Double Sided GML Aviation Ladders are used in aircraft maintenance facilities around the world. 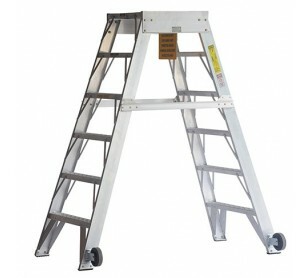 Accessible from both sides plus the wide leg stance supported by stretchers provides added stability. 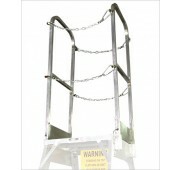 Casters and the lightweight yet durable aluminum construction make moving the ladder around the tarmac a breeze. 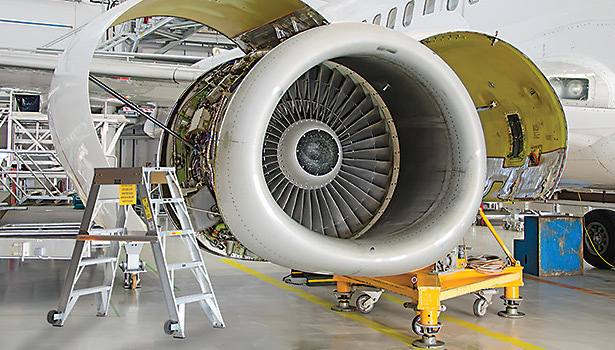 This popular ladder is a must-have for any aviation maintenance facility. 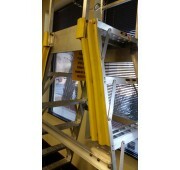 Elevated cross members allow ladder to fit where other ladders would not. 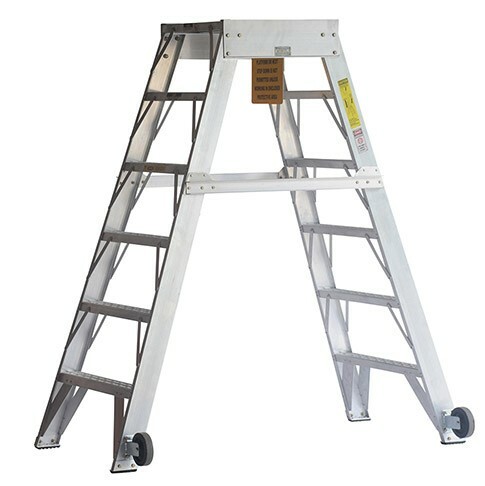 Structurally stronger than all other AML series ladder because of higher channel integrity. 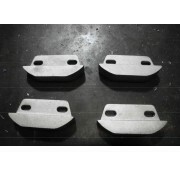 Aggressive embossed tread to provide superior footing. 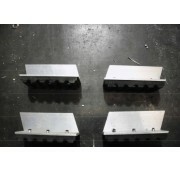 Drain holes on platform and tread alleviate pooling of liquids. 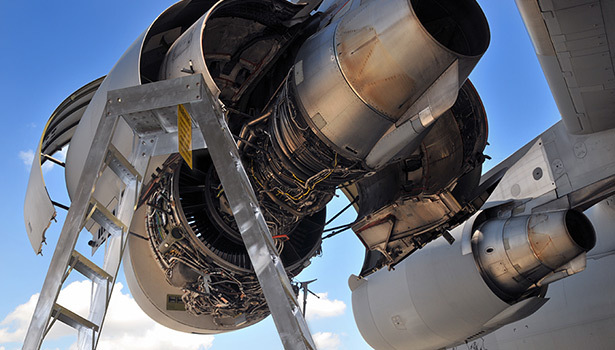 Meets and/or exceeds all OSHA and ANSI codes and standards. 500 Lbs. Capacity with a double sided design, specifically improved to allow greater access around landing gear and other obstructions. 10 ft. 12 ft. 14 ft. 4 ft. 5 ft. 6 ft. 8 ft.